Manchester United’s biggest victory of the season came just over a week ago, when Ole Gunnar Solskjaer’s men went to Wembley Stadium and beat Tottenham Hotspur in their own back yard. The game itself was an entertaining, end-to-end affair in which both sides went for the jugular. It was somewhat surprising that only one goal was scored, and that was largely thanks to David de Gea. Our #1 played an absolute blinder, making eleven saves in the match which was comfortably the most in any game in the Premier League this season. 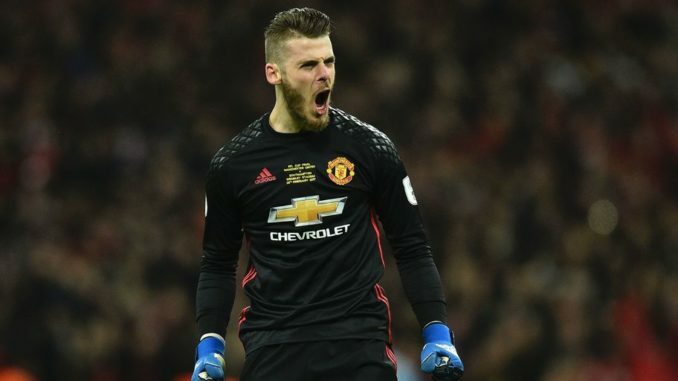 It would be interesting to learn if it was the most saves made with feet in a match, and that’s probably an area in which De Gea is the best in the business at. He uses his legs and feet so well to preserve his goal at times, and that’s one of the many reasons why we’re just so lucky to have him. Now, it’s down to the club to persuade De Gea to put pen to paper on a new long-term deal at the Theatre of Dreams. Although I’d imagine that talks are currently further away than we’d like, with United recently activating a one-year extension clause in his contract – ensuring that he doesn’t walk away for free this coming summer.